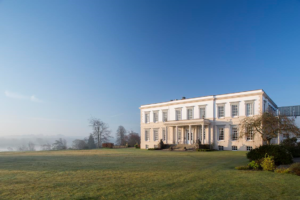 Set in the heart of a 312 acre private estate, Buxted Park is a 4 red star hotel close to Uckfield and Ashdown Forest. 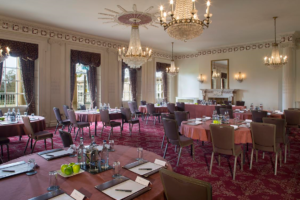 Understated Georgian styling meets modern comfort in Buxted Park Hotel’s 44 bedrooms. Take your pick from unique feature bedrooms, large family bedrooms and classic bedrooms with beautiful views across the grounds. For special occasions, or just a well-deserved treat, it has to be one of the house’s suites. 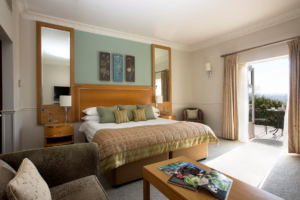 Named after our most famous guests – including royalty and celebrity – these large bedrooms never fail to impress. Many bedrooms include spacious lounge areas, distinctive original features and one has a romantic four-poster bed. 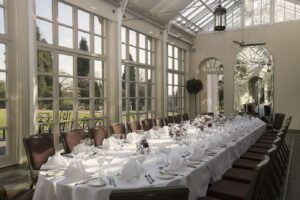 The Dining Room is a two AA Rosette restaurant, where you can indulge in fine dining. If it’s Afternoon Tea you fancy, make sure to stop in at the Coat of Arms Lounge or on one of our Terraces with views across the estate. Do things a little differently and take advantage of a gourmet picnic lunch to enjoy in the grounds, or order a midnight feast to your room. Special menus have also been created just for children. 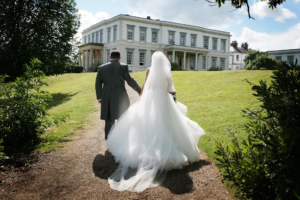 As you drive past the 13th Century church and arrive at this Palladian mansion with its beautiful chandeliers and impressive fireplaces, you will find yourself in Sussex’s finest parkland, providing a unique backdrop for your wedding day.